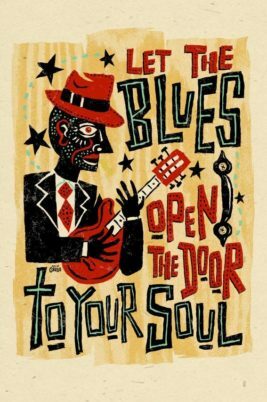 Supporting Maine Musicians that perform Blues, Roots, Swamp Rock, Funk, Jazz, Americana, Bluegrass & Rockabilly. Musicians & Venues please send Gigs by Tuesday for inclusion. Categories – De-select all the categories and choose desired genre. Tags – Choose desired city. NotesKen Goodman Hosts 1-13, 1-27, 2-17, 3-17, 4-17 & 5-5 - Dates subject to change Guest Hosts: Kevin Kimball 1-20-19, Thom Hanes 2-3, Steve Bailey and Truckbody Jones 2-10, Darren from Memphis Lightning 2-24, Marty Lynch 3-3, Scott Morin from Voodoo Clowns 3-10. Scott Morrison is on hiatus until Spring and Jam will be run by special guests TBD. Ken Goodman & Scott Morrison alternate hosting along with occasional special guests. Scott Morrison Band members - Scott Morrison, Nancy Durham & Nelson Nadeau. Continental Meltdown band members - Ken Goodman, Charlie Bradburry and Jeff Glidden Call the Tailgate to find out who is hosting. NotesPer Kevin Kimball - In addition to the annual Worumbo Blues Festival/Revue that raises money for the Maine Blues Musicians' Scholarship, we're now doing fundraising for the scholarship at every jam. This will increase the scholarship level significantly, and it allows more musicians to be a part of a scholarship that's in their name! NotesThis is for Gardiner Downtown Celebration of The Festival of Trees, run by Downtown Gardiner area Businesses. Holiday Trees will be on displayed throughout downtown Gardiner and a celebration of the holidays for the entire family will be held all day in Johnson Hall with treats, holiday tunes and fun for the whole family!